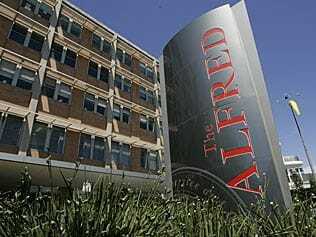 If you are an uninsured patient requiring a procedure, Mr Milne will arrange treatment for you at the Alfred Hospital. The vascular bookings manager at the Alfred Hospital will contact you before your scheduled procedure to confirm your admission date, time and ward. The hospital can be entered via the main entrance (on Commercial Rd). There is a drop-off bay only at the main entrance and limited parking on Commercial Rd. 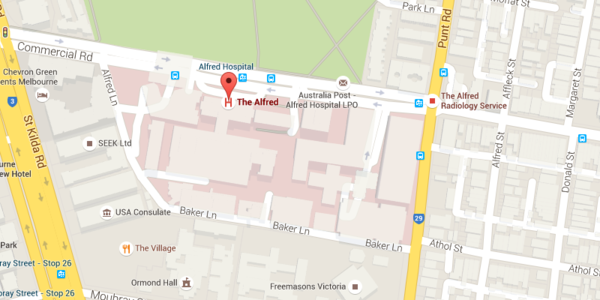 The hospital has a visitors carpark which can be accessed via Commercial Rd (near the Punt Rd intersection).